Today our first news concerns the rumours about the third part in the film series, based on the novel The Hobbit by J. R. R Tolkien. Thus, yesterday the information that the next movie in this trilogy, which describes the adventures of young hobbit Bilbo Baggins and thirteen courage dwarves in their journey to the Lonely Mountain, may be renamed appeared on one of the Lord of the Rings fan-site - TheOneRing.net. Such an assumption has appeared due to the fact that New Line Cinema - the company, which is involved in the film series’ shooting, - has registered a new title that is directly associated with the Hobbit franchise. According to the site’s source, who has presupposed that Hobbit: There and Back Again movie may be renamed, New Line has created a new title The Hobbit: Into the Fire. 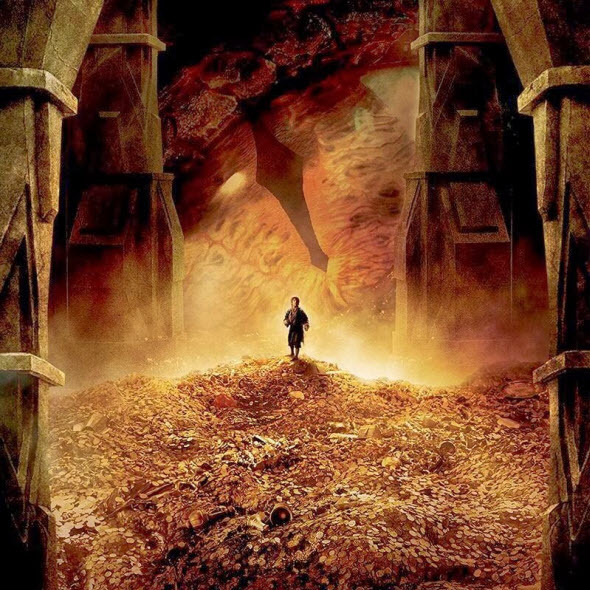 Although for the current moment there are only the assumptions, but if you remember, how the second film in this movie series - The Hobbit: The Desolation of Smaug - has ended, then we may suppose that the new title corresponds the most to the vents unfolding in the film. The dragon, which hasn’t been defeated by the dwarves and Bilbo, despite all their efforts and tricks, is flying to the Esgarot city which it is going to burn to ashes together with all its inhabitants. Everything will be ruined into the fire, won’t it? Whatever it was, so far it’s just a rumor, so we advise you to treat it with a grain of salt and wait for the official confirmation or refutation which should be made by New Line Cinema’s representatives. We’d like to recall you that The Hobbit: There and Back Again film will appear in the USA cinemas in the second half of December 2014. And are you waiting for The Hobbit: There and Back Again movie? Are you going to watch it in the cinema? We will be glad to see your answers at the bottom of the page.